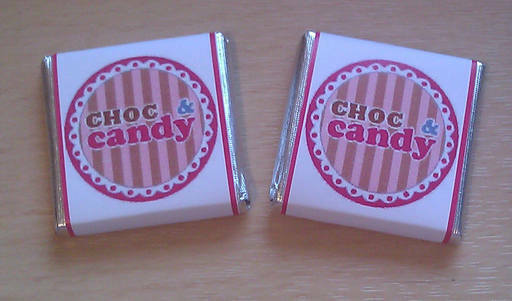 1000 x square mini MINT 4.5g chocolate bars hand wrapped with your own personalised outer wrapper. 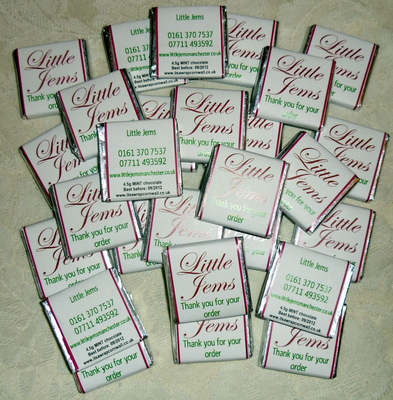 We can add your business logo or photograph to the front of the wrapper with your contact details/short message printed on the back. Please send your logo or photograph to info@itsawrapcornwall.co.uk and type in the freetext box below what you would like on the back of the wrapper. A photograph of the bar will be e-mailed to you to confirm the design before your order is made up, and at which point any changes can be made. 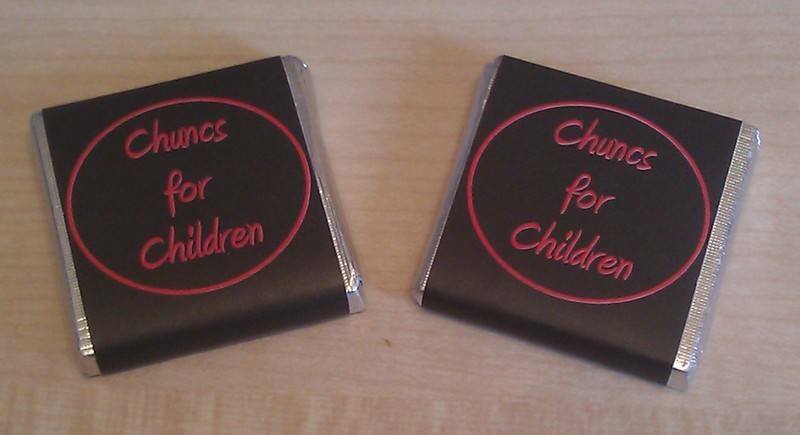 Our prices include the chocolate bar, all the design work AND the handwrapping of each personalised wrapper. The only thing not included is the postage/delivery charge which is calculated at the checkout. We offer a sliding pricing scale so the more you order the less you pay per bar. Smaller quantities of the same type chocolate bar are available on different listings. SIZE OF BAR: 34mm squared. COLOUR OF FOIL: Only available with silver foil.